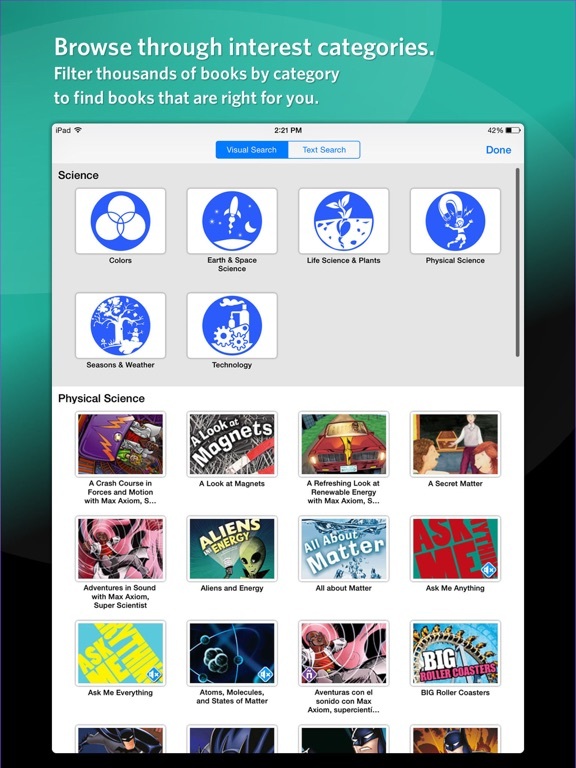 The myON app provides access to digital books from myON reader, a personalized, online literacy program that matches student’s interests and their reading level to a recommended book list. With over 5500 enhanced digital books with reading supports, students have access to all types of books and topics that will entice them to continue reading. Using the app, students can link their account to their school, and then read any book even when the Internet isn’t available. · Parent in Indiana: As a parent of a child doing the myON Reading program, I have to say I LOVE this program. Paige's Lexile score has now doubled in the very short time she has been reading with this program. Her fluency has improved so much, which helps her better understand what she is reading. She has read over 80 books in the last couple of months. Her test scores in Reading have gotten so much better. We had considered getting her a tutor for Reading, because she could read, but not really comprehend what she was reading, when she was done. She now has an A in Reading with NO tutor. 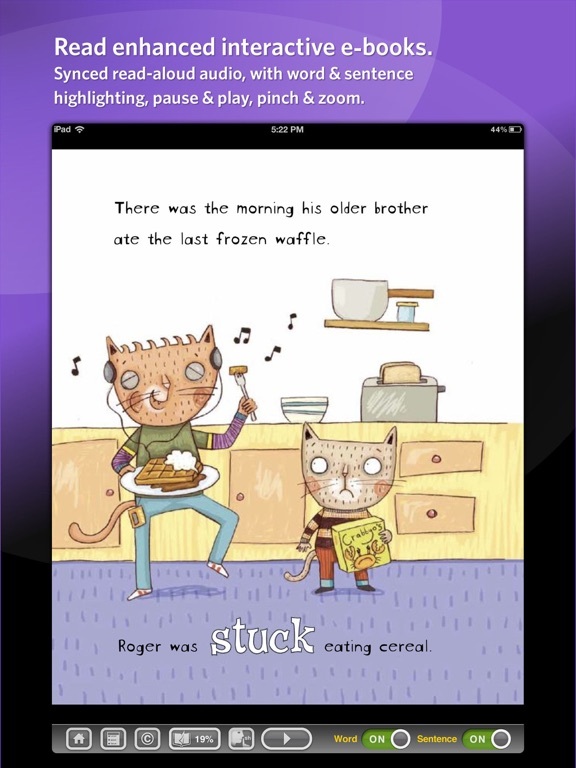 · Parent in Florida: My child recognizes more and more words by reading with myON. She is only in Kindergarten but now reads books way above her level. We also like that there are so many books to choose from. 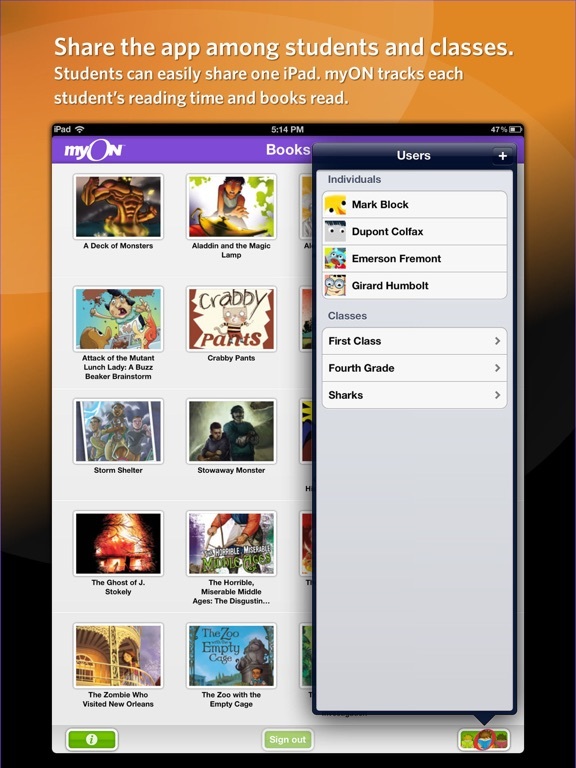 · If your child is a student at a school that has subscribed to myON, they can access the entire book collection. No subscription at school? 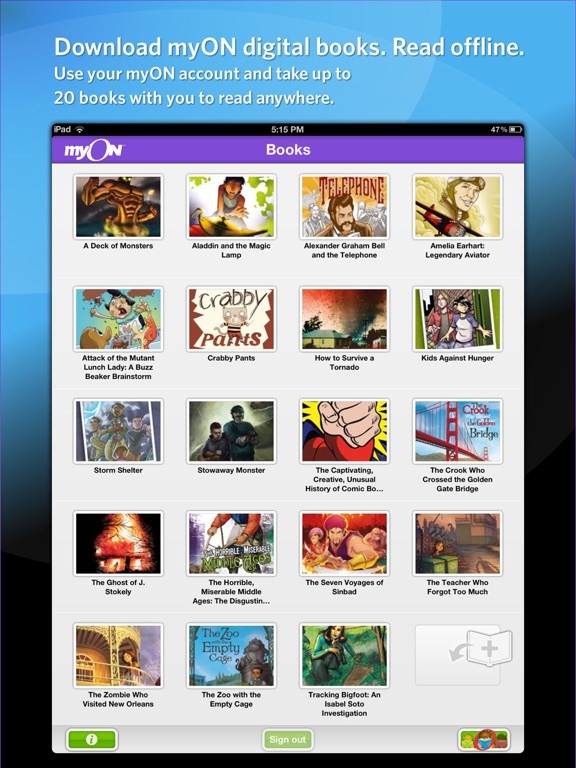 No problem... the myON app let’s you access a free book!